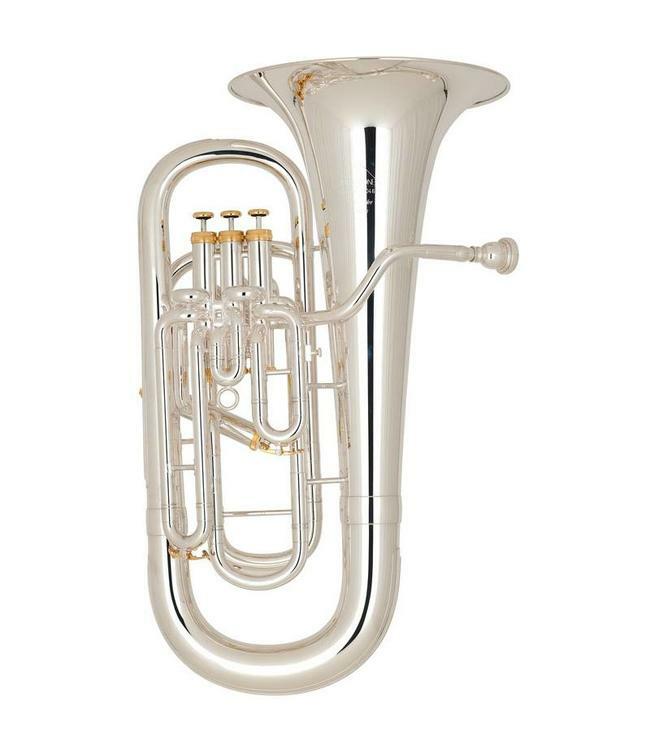 The Bb euphonium M5050 “Ambassador” Edition with its exclusive trimmings belongs, without the shadow of a doubt, to the upper echelon of the euphonium class, possessing a wonderful rich and clear tone with impeccable intonation. The shorter mouthpiece receiver, made from heavier material, eliminates any loss of the player’s air power on the way into the instrument. Concentrated air flow generates a gain in the projection potential of the euphonium as well as a tight, non-spreading sound throughout the dynamic spectrum. A reinforced bottom bow and first branch with the special protection cap results in the instrument having more stability and a more focused sound.